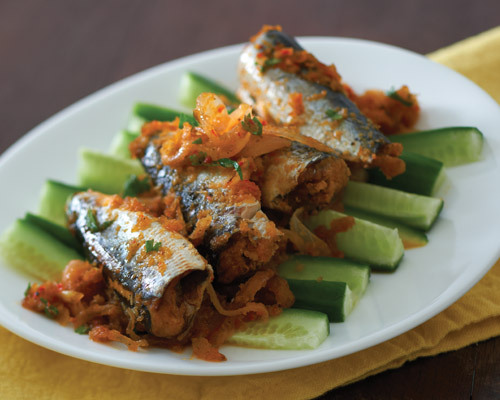 Drain olive oil from sardines can into a pan and fry onions till lightly browned. Remove and set aside. In the same pan, add in blended ingredients and fry over medium heat until almost dry, add in sardines and fry for another 2 minutes. Season to taste and toss in fried onions last.